Here is the poster. Sorry about the poor image quality - there was a tree behind the poster which messed it all up. You can see the climber in the silhouette of the singer. And yes, he seems to be wearing running shoes, a harness and no rope. He's wearing a helmet which negates the need for rope............apparently??????????? 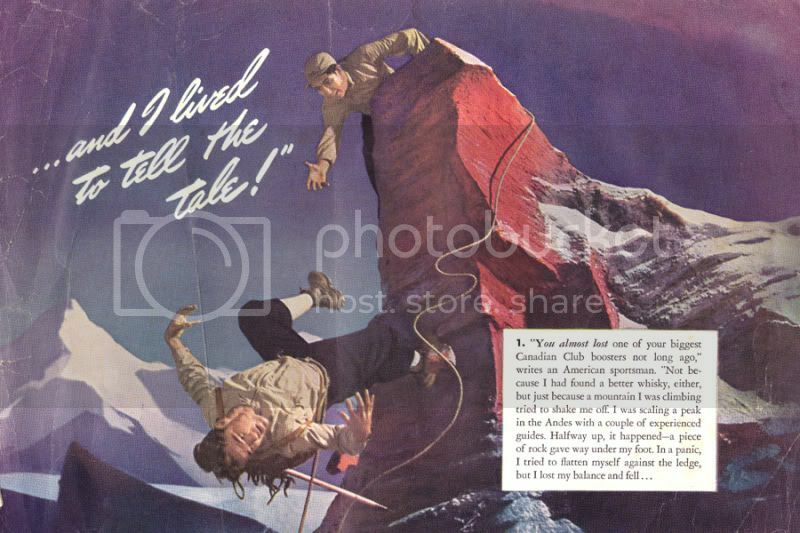 Good thread....there seems to be an ad for something on now with a guy abseiling down a waterfall with a rack full of quick draws....very wierd. Thanks Neil, you reminded me of the otehr bit I thought strange. There is a rope, it runs over the top of his thigh and down behind him. Fortunately, it's not clipped to any gear. I'm always late to the party. Great thread. Lets see if I can get these scans to show. Sorry- I can only get them up in links for some reason. "I lived to tell the tale!" 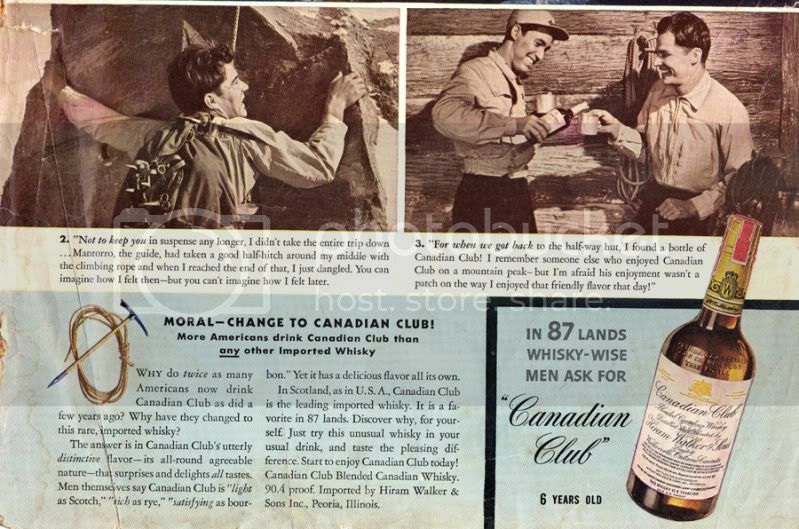 "You almost lost one of your biggest Canadian Club boosters not long ago....I was scaling a peak in the Andes..."
.... when we got back tot he half-way hut, I found a bottle of Canadian Club!...." The photos are great, but some of the descriptions are severely lacking. 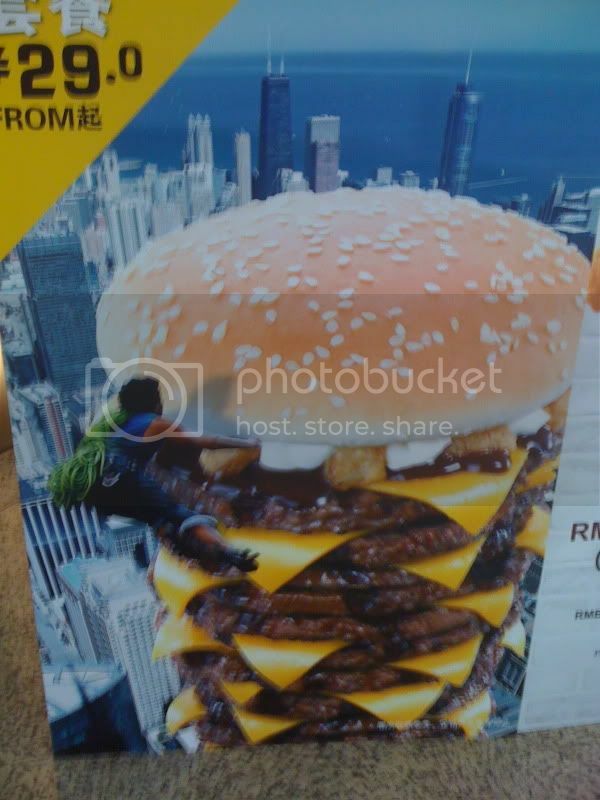 ~> strikes me as a typically chinese shortcut on quality, though a multilayer burger in this country might have appeal to some! iPhoto is a little blurry, but his feet are actually floating in the air... This is the least of the Chinglish you see on a daily basis...! This classic turned up on supertopo .. let the flames begin ..
How did one come across such a fine piece of advertising? WTF, Teva's and a sling full of cams, what's he rigged up to? I was looking for a place to buy dermabond. It's good to use for split fingers/heels. I used to use superglue and would like to stop but I seem to be stuck on it! >WTF, Teva's and a sling full of cams, what's he rigged up to? I'm actually pretty bummed my Teva's are dead. I reckon they're pretty good descent sandals. 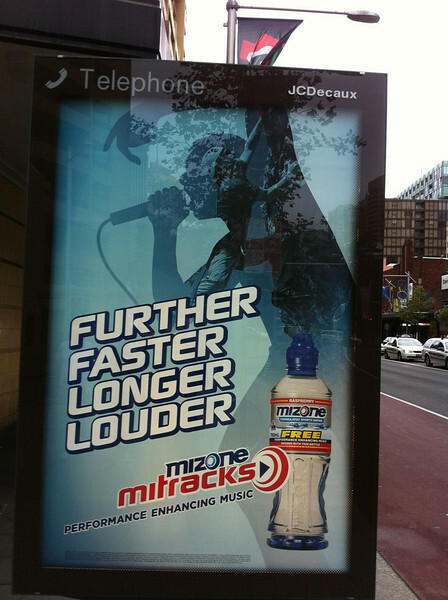 Has he got two belay devices rigged for rapping? Or is it repelling? >>WTF, Teva's and a sling full of cams, what's he rigged up to? >good descent sandals. Has he got two belay devices rigged for rapping? I know where you can get one. Looks like a reverso and shunt configuration. Configured as per petzl recommendation for abseiling. Simon is 43 years old and has been climbing for over 25 years. He is a stalwart of Australia's climbing community, and the first person to have completed a free ascent of the 'Totem Pole', Tasmania. Gareth is 33 year old and has climbed extensively throughout Australia and overseas. Gareth has completed thousands of ascents, and established what is considered one of the hardest, longest and most adventurous routes in Australia, with a 300 meter climb in the remote Tyndall Range in Tasmania. 'The Climbers' are pursuing their dream of conquering Australia’s top 50 rock climbs, and to publish their efforts in a book complete with stunning photographs and insights from their climbing adventures. Through the 'TOAST OF A NATION' campaign, Australians are invited to share in the Climbers' journey as they travel from the Grampians to the Blue Mountains, Northern Territory and back again, to capture and share the unique beauty of Australia's wondrous landscape. With regular blog updates and posting breathtaking photos and videos, Simon and Gareth will give insights on the incredible situations they find themselves in, and educate their followers on how they manage this spectacular, exciting and challenging journey. VEGEMITE is proud to be toasting Simon and Gareth, and supporting them 'have a crack' at their dream project, and produce a book that captures the most specular climbs in Australia. And thanks for adding the screen shot Mods, much obliged.